Ahn, Won-kiu: He was president of Korean National Association in Hawaii. He arrived in Hawaii as an immigrant laborer toward the end of the Korean empire. In 1906, he was elected as president of Hawaii Community to teach autonomy against Japan. 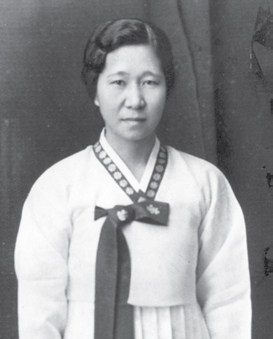 In 1907, he sponsored to organize Korean Hapsong Hyup Hoe and was elected as vice-president to dedicate for restoration of Korean sovereignty and welfare and security of the Korean residents including Korean national education. In 1908, he played an important role to unite Gong Nip Hyop Hoe and other existing splinter groups to finally give birth to the foundation of the Korean National Association in February, 1909. 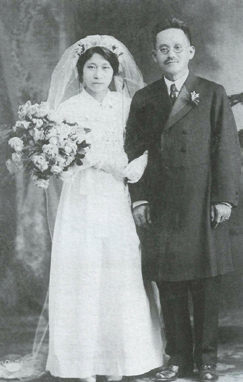 In July 1909, he was elected as vice-president of the newly established Korean National Association in Hawaii. In 1910, he was chosen as a president of the Association to lead the Hawaii activities in. When Korea was annexed, he generated an official protest letter to Japanese king over the forced annexation. To restore the national sovereignty, he made efforts to establish an army of national independence with funds and toward this plan, he had donated 1500 acres his pineapple plantation. When Syngman Rhee disbanded the Korean National Association in 1921, he became vice- president of the Ko- rean Resident Group following an order from the Provisional Government. However, when the Korean Resident Group was dissolved in 1933, he reconstructed Korean National Association by being elected as vice- president in 1936 until he opened an Overseas Korean Congress in 1941 to be elected as the president. They made resolutions to support the official recognition of the Korean Provisional Government, establishment of U.S. Diplomacy Committee, Military Movement assisting U.S. defense matters including Korean national independence issues. In August of 1941, the Korean Resident United Congress was established in Honolulu to closely work with the Korean Provisional Government. In 1945 and 1946, he was elected twice as the president of the Korean National Association in Hawaii. In 1995, the South Korean government posthumously recognized him with the Order of Merit of National Foundation / Independence Award for his consistent dedication and sacrifice for Korean independence movement.